We are proud to announce that we have been selected as ‘Finalists’ in a number of categories this year at the BDIA/ FMC Dental Industry Awards 2018. Having been privileged enough to be crowned ‘Winners’ for ‘Customer Service Provider of the Year’ for the last three years. We are honoured to again get this far. 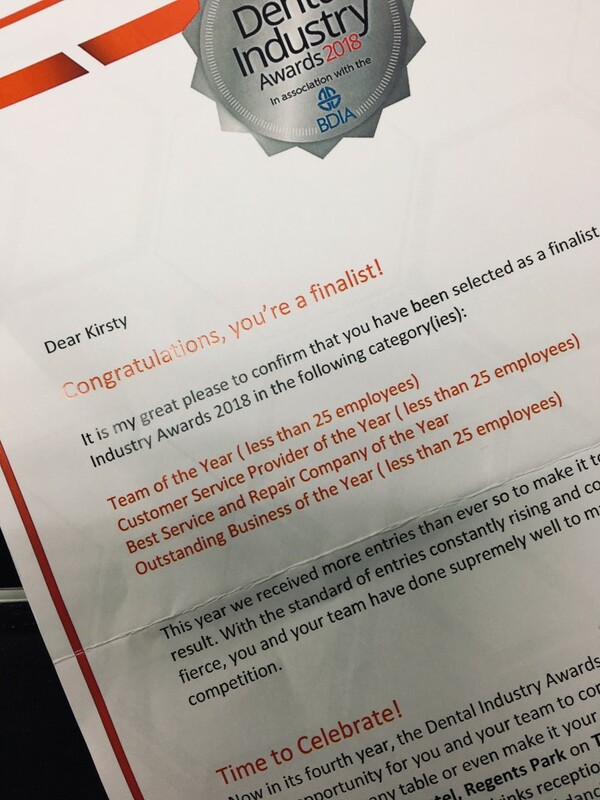 Thank you for all our customers loyalty and support that helped make this happen and to our dedicated team who continue to aspire to meet Jim’s original ethos for the company of pairing top quality service, with world leading brands of dental equipment.